Please pray for my grand daughter, mother in law who are very sick in the hospital, my son who is in physical rehab but is going in and out of a coma from his sugar levels. For a friend in need of a job and the conversion of my family. Please pray for my husband who acts like he don't care about me or anything. We hardly ever talk. He is so uncaring and lazy. He does not assume the role of a husband. I want him love me uncondial. And our finances. Im tired of struggling and begging. I was to be able to loan and not borrow. I want a increase in our finances. 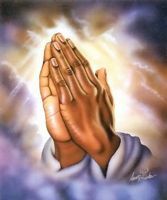 A d pray that my cousin Kelvin and Carlls come home from prison this year. Thanks in advance.